We at Tektronix understand your needs and come uniquely equipped to simplify these challenges with trusted expertise and comprehensive solutions. The move to an IP based infrastructure cannot come at the expense of insight into your content. Broadcast engineers must know what content is being carried on the network, and be able to diagnose faults as they occur. 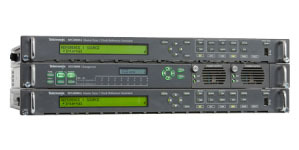 The use of IP has introduced new failure modes to the broadcast environment such as PTP set up and accuracy, redundant path testing, packet loss and jitter, multiple Audio and Data streams associated with a single Video asset. Engineers need a new set of displays and tools to understand what is happening on their network coupled with a familiar set of tools to ensure that their content is correct and meets quality standards. 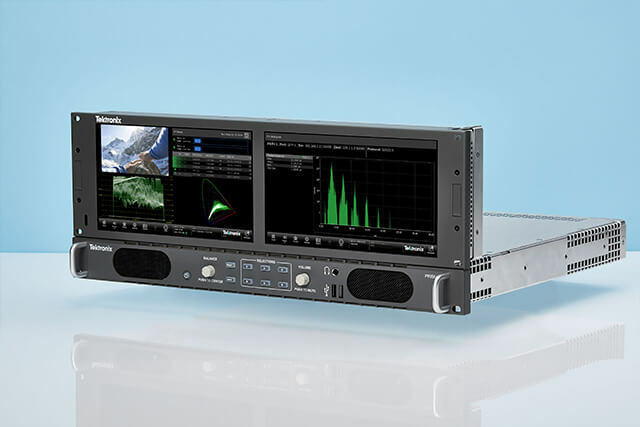 Tektronix’s solutions for managing the shift from SDI to IP offer high visibility into these new signals, including a comprehensive set of IP measurements to complement familiar SDI measurements, allowing engineers to quickly address problems with their content. Informative and customizable tile displays enable faster analysis and correlation. Early IP installations were based on the SMPTE ST2022-6 standard in which the Video, Audio, and Data essence of the content was encapsulated into a single UDP/RTP stream. By default, this meant that content was synchronized together. Consequently, Engineers in these facilities could choose to use either PTP, Black Burst or Tri-Level Sync as a mechanism to synchronize the facility. SMPTE ST2110 changes the game for synchronization design. In this standard the Video, Audio, and Data essence is carried in separate streams on the IP network and so it is essential that PTP is used as the synchronization mechanism on these networks. Tektronix tools can lock to multiple timing references including PTP and then provide comprehensive analysis and measurement of these signals. This allows engineers to see and solve system issues related to PTP setup and distribution on the network. Whether working in a tight editing suite or mobile truck environment – space is always at a premium. This requires getting the highest-powered tools and monitoring solutions at your fingers even more important. PRISM provides the innovative and unique accessories to optimize your workspace. Dual display accessories can be used to reduce required space and remove the need for a second instrument in shader/ video engineer positions. Need to monitor Audio and Video? The 1RU MPX2 can be fitted with high quality integrated speakers and quick audio channel selection to provide Audio Monitoring and Waveform Monitoring in a single instrument. Combining with extended display, customers can create fully integrated audio / video monitoring suite in just 4RU. Working in an IP broadcast system? 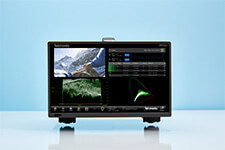 PRISM can be used as a gateway to drive SDI reference picture monitor. AUX SDI output follows a selected input signal regardless IP or SDI and includes embedded audio. It just simplifies control system and minimize number of cables and IP ports. Find how we revolutionized SDI and IP analysis, again. Designed to address the IP future of broadcast, PRISM comes packed with a comprehensive set of new measurements and displays to provide visibility of network performance and problems, and reduce the time to fault isolation and remedy. Equally comfortable in the SDI world, PRISM provides the connectivity, measurements and displays you would expect in an SDI environment. PRISM is the only monitoring solution you need in your workflow. Connectivity, objective and trusted measurements for both worlds. Simplify Truck & Studio Production in 4K/WCG/HDR; Edit and technical QC in Post. The SPG8000A is a precision multiformat master sync and master clock generator, suitable for hybrid sync generator and PTP (IEEE 1588) grandmaster clock reference generator applications. It addresses the emerging needs of customers who plan to migrate from traditional SDI-based to IP-based video (including live production) infrastructure in stages. Facing challenges in other Next Gen Media applications?